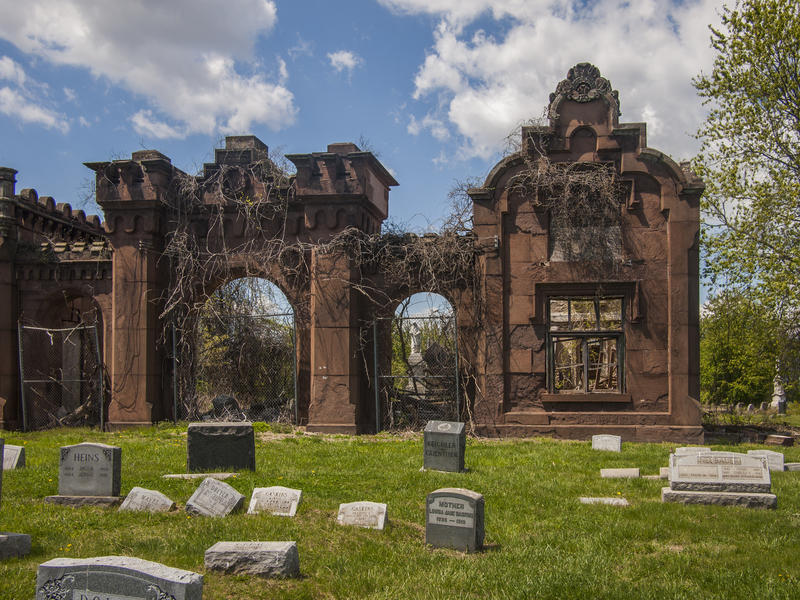 The deteriorating Romanesque Mount Moriah Gatehouse designed in 1855 welcomes all to the wilder side of the cemetery, only a portion of which is regularly maintained, 2 May 2015. 04 May	This entry was published on May 4, 2015 at 6:45 am. It’s filed under Historic Preservation, West Philly and tagged Mount Moriah. Bookmark the permalink. Follow any comments here with the RSS feed for this post.